I picked this notebook up on the cheap today, and am going to use it at work for general notes. It’s a bit nicer than the Spirax recycled paper one they supply us with. 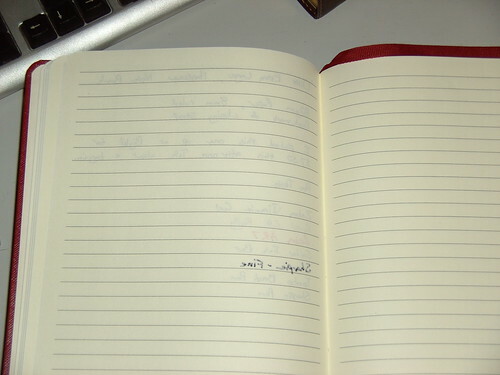 This notebook is Big W’s answer to the hardcover notebook market. 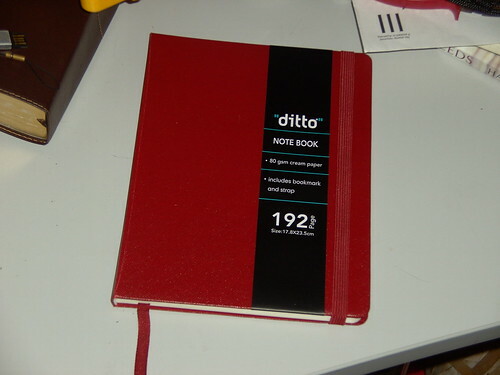 It’s branded “Ditto” which is Woolworths’ home brand of stationery. It’s not bad quality for $7.50 on shelf. The cover is rather hard, keeping it tight and rigid. It comes in both red and black, however I have a small A6 black version, so I figured it’d be nice to try the red. After opening and inspecting it, the seems of the cover do lose colour slightly, and the red is not uniform across the whole cover – there are slight variations. What can you expect for $8? The paper is a nice, 80gsm cream, with some fairly dark lines. I’m more a fan of lighter lines which don’t break up the page as much, but for writing the dark ones are fine. 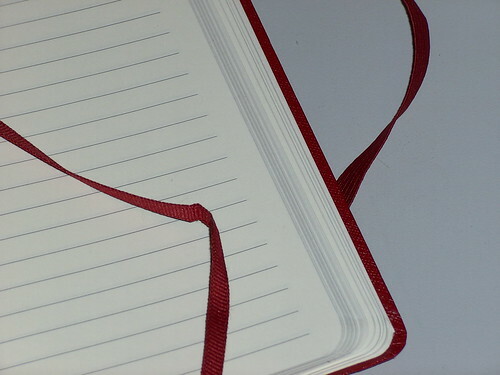 The lines also don’t go right to the edge of the page, which gives you a few interesting features; The edge of the notebook is white, not lined, and it helps keep your writing contained. As you can see in the pen tests below, there is not very much bleed on the Sharpie and Sailor pens, and almost no show-through out the back. 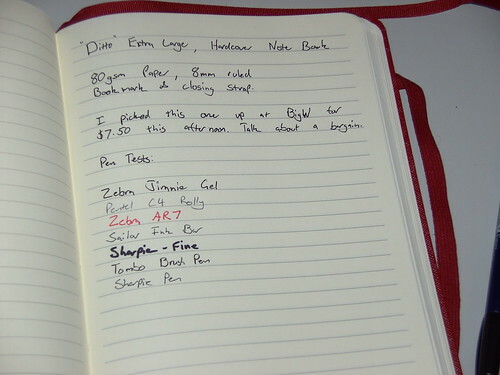 All in all, this is a pretty neat, cheap alternative to an XL Moleskine or similar. I would highly recommend it to anyone looking for a more permanent, hard cover notebook.